UPDATE 2-16-15: Still updating the league links, but to speed me along email me with your league to be sure not to be missed (see post below). During the next several days I will be updating the links on the website and will be adding leagues not currently listed. If during the time I’m updating and I miss a league, please shoot me an email at bj@wfbtalk.com. Posts on the blog will also be resuming shortly. 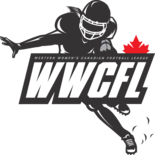 WFB Talk will re-start for the 2015 season in March. Date will be announced soon. All shows at www.wfbtalk.com / Check out the archived shows as well. Check out our Audio Game Broadcasts at the Independent Sports Network. Note: Not all games may be listed until actual game day.